We have seen in Part 2 of this series that Calvinism essentially asserts that God has two sides of His character, a side that delights to show mercy and a side that delights to punish sin. Both these sides must be expressed. By redeeming the elect, God’s love and mercy are demonstrated. But lest the Father’s wrath be completely pacified and we forget how much He hates sin, He needs to have another group on which His hatred of sin can be expressed. Our previous post looked at the theological problems of this idea. In this post I would like to look at the existential problems that emerge from these ideas which I myself experienced as a Calvinist. I found increasingly that it was impossible to have a relationship with the God of Calvinism, or at least to have a positive relationship with such a God. I often felt like the Greek writer Xenophon who recorded that he had been assisted by Zeus in his capacity as the god of safety and god of kings but had then fallen foul of Zeus in his capacity as god of propitiation. Similarly, Calvinism teaches that God has two sets of self-contained attributes that must both be expressed in order for God to be completely Himself – attributes which are antithetical to each other. Our task is presumably to get on the side of God that needs to express love and then be thankful that we are not a target of the side of God that needs to express His hatred of sin, just as Xenophon had to get on Zeus’s side as god of safety and not god of propitiation. Now here’s the existential problems that confronted me: I can go through the motions of worshiping such a God and I can try to be on His good side and I can recognize that however things appear He must be good since words like goodness, justice and love have no meaning apart from God as the ultimate standard; yet on an experiential level I don’t know how to love such a God or to feel anything other than horror when contemplating Him. That doesn’t make such an idea false (i.e., that might be who God really is), but it did render it existentially problematic for me. The distinction between God’s prescriptive will and His decreed will (which Calvin inherited from late medieval Catholic theologians) is central to any discussion of such matters. God’s prescriptive will is what God commands to be the case, while God’s decreed will is what He makes to be the case. So with respect to God’s prescriptive will, He wills that no one commits adultery, but with regard to His decreed will, every day He wills that thousands of people will be unfaithful to their spouses. God’s decreed will is sometimes referred to as God’s ‘hidden will.’ But it is misleading to call God’s decreed will ‘hidden’ since Calvinists claim to know a lot about it. For example, they claim to know that everything that has ever happened in human history has happened because of God’s decreed will. Whereas God’s revealed will is communal (with God wanting everyone to follow his law), his hidden will concerns the outcomes of the lives of specific individuals. Whereas the external preaching of the Word extends to many (though not all), the inward working of the Spirit is limited to those who have been chosen from eternity. Whereas the outward call merely leads to a general adoption and thus remains impersonal, adopting through the gift of faith means an intimate and mystical union with Christ. Finally, whereas the preaching of God’s revealed will is always accompanied by the demand of faith, God’s electing will is unconditional and absolutely certain, so that all who have been granted the special grace of God’s Spirit will persevere till the end. This fundamental dichotomy between God’s two modes of willing forced Calvin to set in opposition the teleology that is normative for an object with the teleology which God ultimately wills for it. But I’m getting ahead of myself and must define my terms. A thing’s telos is the goal or final end for which it exists. So the telos of a hammer is to bang things into the wall while the telos of a seed is to be an adult plant. Now Calvinism affirms that with respect to God’s revealed will, the telos or goal of each and every individual includes eternal union with Him, but with respect to His hidden will, the telos of certain individuals includes eternal disunion with Him. This means that for everyone that isn’t saved, there is a dual telos (in what sense, God’s desired end for such people is salvation, but in another sense it is damnation). Again, the problem we had with this model was more existential than theological, although one can make good theological arguments against it. The existential problem is that since God reveals Himself to mankind in terms of the first mode (His revealed will) while He relates to mankind in terms of the second mode (His hidden will), a radical discontinuity is set up between God as He is and God as we experience Him. This discontinuity creates a host of practical difficulties when it comes to trying to have a relationship with the Calvinist God, since it means that our experience of God is fundamentally disconsonant from who He really is. This discontinuity is different to simply saying (as the tradition of Eastern Christianity does) that there is an aspect of God that will forever be unknowable to us (i.e., God’s essence, which is unknowable, and His energies, which are knowable, to simplify to an extreme). Rather, Calvinism says that we can and do know some things about how God is in Himself, and that this is opposite to how He reveals Himself to be. Here’s a case in point: all Calvinists will affirm that during the time of Jeremiah when the people were sacrificing their children to the fires of Molech, this only occurred because it was part of God’s eternal decrees. Yet the Calvinist is also compelled to say that God reveals Himself as being so horrified by the act that, anthropomorphically speaking, He could declare that such a thing had never even entered His mind (Jer. 19:5; 32:35; 7:31). Where does this leave us? It leaves us with a constant discontinuity between God as He is in Himself (i.e., continually decreeing evil) vs. the mode by which God accommodates Himself to us (i.e., continually willing non-evil). If we dwell on this, it leads to existential problems that can drive a person mad. Calvinists generally recognize this, which is why they continually urge us to bracket off our knowledge of how God really is from How God has accommodated Himself to us. In fact, Calvinists have frequently told me not to try to relate to God in terms of what we know to be true with respect to His eternal decrees. For example, even though we know that for everything that happens, nothing could ultimately have been otherwise, we must nevertheless act as if there is an element of real meaningful contingency. Again, we know that the telos of many people is eternal disunion with God, but we must act as if the telos of every person is eternal union with Him. Once again, we know that God does not actually love every person, but we must act as if the statement “He is a good God and loves mankind” applies to everyone. And on and on. Calvinism thus requires us to constantly suspend belief in order to have a relationship with God. This is especially true when we approach verses like Ephesians 5:1 and Matthew 5:48 about being imitators of God. A Calvinist believes it would be disastrous to imitate God as He actually is, and urges us only to imitate Him as He accommodates Himself to us. Again this wouldn’t be problematic if Calvinists were content to say that how God is in Himself is a mystery. The problem arises precisely because the Calvinist does claim to know about God’s so-called ‘hidden will’, namely that it is sometimes opposite to the modes by which God accommodates Himself to us. What Calvinism teaches about God is thus radically disconsonant with our experience of Him, and a Calvinist can have a meaningful relationship with the Lord only by suspending belief. Thanks for your thoughtful engagement of these issues. 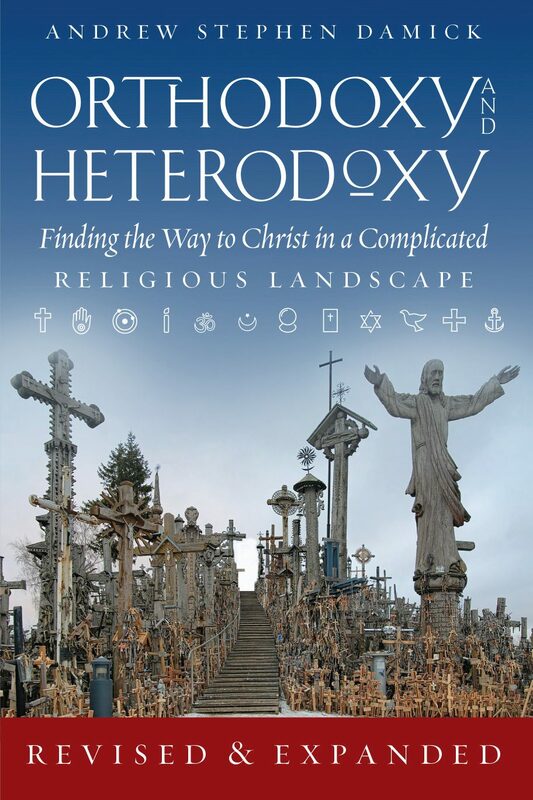 For me it is very helpful since I am in process, feeling “in-between” in many things, desiring to be Reformed and yet have a Generous Orthodoxy, wondering how “sampled” my theology can be and still have any internal consistency and integrity. I am a contemplative evangelical who does a lot of work with the Ignatian Exercises and the larger contemplative stream. Also, always seeking to see where the contemplative stream is present in the Reformed and the Puritans. Have you read the very thoughtful study, Soul Recreation: The Contemplative-Mystical Piety of Puritanism by Tom Schwanda? Thanks again. I look forward to your remaining reflections. Would loving God as He describes Himself rather than how He actually is be a form of idolatry? If God really isn’t like X, but we love Him as if He were (even if that’s what He wants us to do), are we not putting something untrue in the place of God? What else can that be except idolatry? Obviously, God does not sanction idolatry in the Scriptures. If what I have said is true, why would He then sanction such a thing? If I have made an mistake or am way off in some random direction, please correct me. John, while doubtless all our concepts of God fail, God still reveals Himself as Father. To think of God as our father the way we would think of dear, ole dad as Father borders on idolatry. But if we always realize that God transcends our highest notions, we fall short of idolatry. To make an idol is to make our conceptions coterminus with God. The Biblical revelation of course shows us God as beyond our categories, in light unapproachable, and thus is revealed as incomprehensible. Yet even in this incomprehensibility God gives us terms that we may (if you would) grasp for him by an inadequate analogy. Yes, I understand what you are saying. But I don’t think you’ve really responded to my inquiry (or I’m a bit dull and I’ve completely missed it; that does happen to me). The term Father, for example, does tell us something about God that is true, whereas if I’m reading Robin right, God is revealing Himself as X when He is actually the opposite of X within his Calvinist framework. But with your example of God revealing Himself as Father, although that word doesn’t quite capture the reality (no words do, of course), they do give us mere mortals a glimpse of the reality. On the other hand, Robin (again, if I’ve read him correctly), seems to insinuate that in God revealing Himself as X, actually says nothing truthful about Him. Do you see the difference? This is why, in my mind, I see it as God-sanctioned idolatry. At least with most non-Calvinist approaches we can begin to see something of God, even if it’s just a shadow. But a Calvinist in his mind “pretending” that God wants all to be saved, for example, when in reality He does not, and makes it so that all are not (being the only effectual agent in salvation), makes the whole thing a fairy tale. If I’ve not explained myself well, or if I’ve misread/misrepresented your reply, forgive me. I’m getting an even better appreciation for my Methodist beginnings, while I have to confess it was getting wind of the more Calvinist views of Christian faith (in my Evangelical college and beyond) that, three decades later, drove me out of Evangelicalism altogether and into Orthodoxy. (Such a blessing to be home!) Robin’s series is reminding me and clarifying to me why the various theological ideas descended from Calvin’s teaching had this result for me. I don’t believe that a good way to understand truth is to decry something, because it makes us uncomfortable. Consistently in Scripture, we are to meet God on His terms, not Him on ours. So, the question is not the difficulty of relating with such a God, but what is the true nature of that God? What does He say about himself? There will be a part III! I don’t think the thrust of his argument is that it makes him uncomfortable, even if that is mentioned. I think you need to reread his post. I think that’s what the argument amounts to.. I think Calvinism is more than a belief system. From what I’ve observed it often manifests like a mental stronghold. Robin’s post was wonderful and well thought out IMHO. And a person who is open to self examination will glean value from it. But such a person has to be a “pursuer” of truth. Calvinists tend to be “holders” of truth. And anyone who questions that truth would be better off taking a sirloin from a lion. There is a “Yin Yang” to the system. light and dark sides of God’s nature, diabolically opposed, complement and complete each another. Some are predestined to the light, others to darkness. The glory of the light cannot be fully manifest without the darkness and the inverse etc. Its dualistic system is what engenders that dichotomy. I don’t think Calvinists are comfortable with the components which reflect elements of paganism. So they simply refuse to look. Robert Jay Lifton’s research on thought reform is instructive. I experience this discontinuity in prayer. If praying for the spiritual well being of a friend I ask for a blessing, I admit that it may not be God’s decreed will. However that is not revealed to me. But my heart aches for my friend, so how can I ask otherwise?